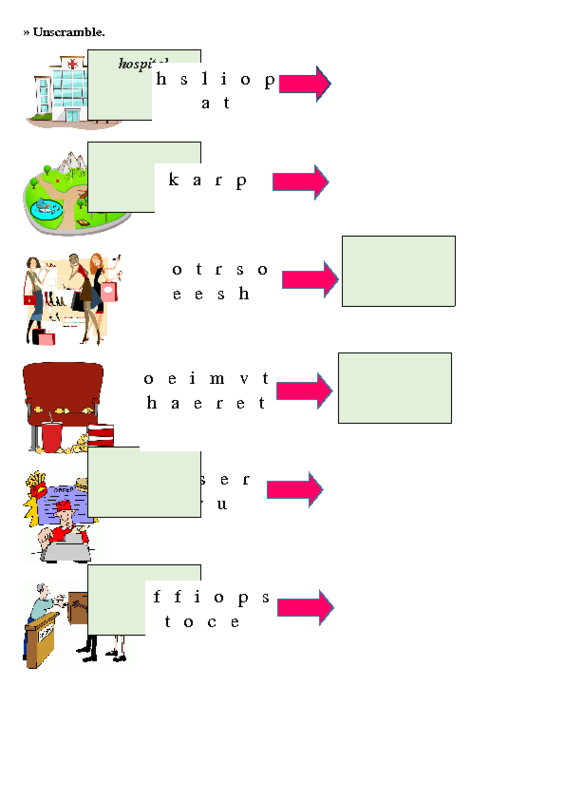 This worksheet contains an activity in which the language learners are asked to unscramble the letters to make words. It includes words such as police station, bookstore, bus station, hospital, etc. 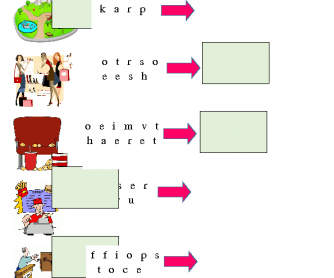 It is designed for elementary levels, particularly young learners. Hope it helps!